Metro Center Station in Washington D.C. 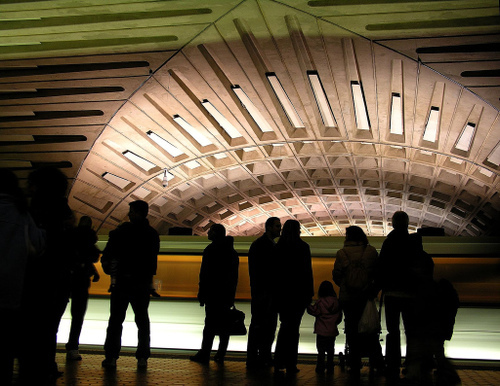 Tags: capital, metro, picture of the day, potd, subway, travel, washington d.c. I developed a situation so that various subjects could be defined by the constraints of exactly the same mechanical apparatus. The scenario consisted of someone passing through a subway turnstile. At the moment that the subjects passed through the turnstile, unknown to them, I took their picture stationed at a distance of eleven feet. I stood there turning pages of a magazine observing subjects out of the corner of my eye, waiting for only the moment when they pushed the turnstile bar to release the shutter. 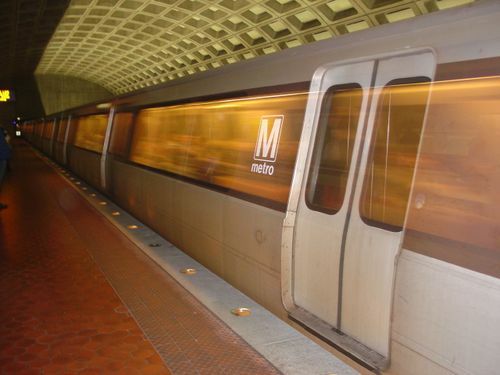 The subway in Washington, D.C. Tags: picture of the day, potd, travel, washington d.c.
TripCart's still has its fetish for subways and we came across the two brave souls, Matt Green and Don Badaczewski, who apparently are subway endurance riders and will be trying today to beat the record for the fastest time riding the entire New York subway system. They're starting off at dawn around Rockaway Park and ending at Pelham Bay Park. For a complete list of their route check out their myspace site. Apparently, Herman Rinke was the first one to attempt this feat in 1940 shortly before the different subway lines in NYC were unified. 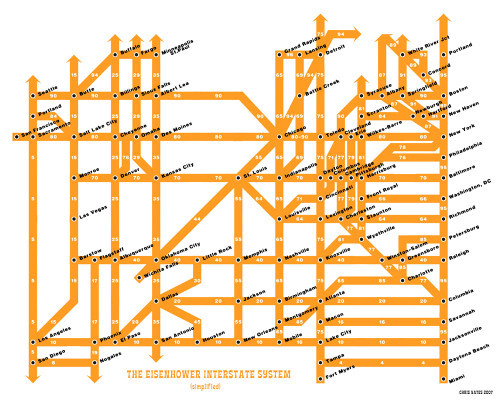 Some MIT students in the 60's built a computer program to help them devise the most efficient route after seeing a note on a subway map where someone had claimed to ride all the lines for a single subway token. Though the Guiness Book of World Records allows riders to exit the subway system, purists like Green and Bodaczewski believe it's imperative to remain underground, "We have a strong philosophical opposition to this set of rules. If you're going to spend that much time in pursuit of such a ridiculous and pointless goal, why cut corners? Plus, what kind of babes are going to dig guys who take the easy way out of such a manly challenge?" The current record holders are Mike Falsetta and Salvatore Babones who rode the rails in 25 hours and 11 minutes in January 1998. According to the Metro, Falsetta and Babones are willing to "come out of retirement and issue a challenge" should their record be broken. Green and Badaczewski have got 26 lines, 660 miles of track and 468 stations to hit up before they're through. You can call their voice mail (718-407-4697) to track their progress - at 8:30 this morning they were running "right on schedule" on the L between Canarsie and 14th Street.